Hey! I recognize that pasta! Isn't it sooo good? And that cake looks delicious!! Where did you get that pasta? It's awesome! So pretty! I love the pasta, especially with the red pepper...and, the cake looks so tasty. Yum!!! 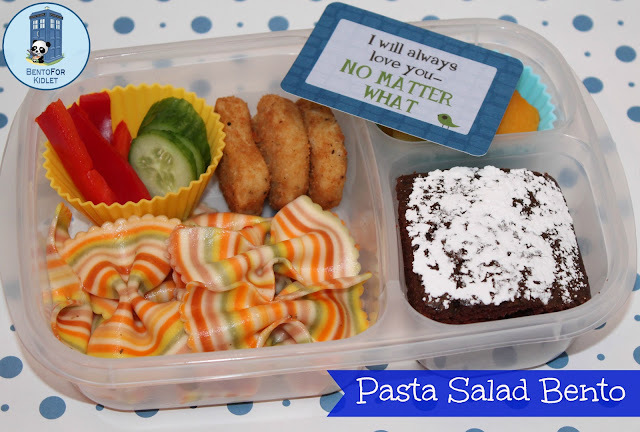 Lovely, that rainbow pasta adds a nice pop of color! I adore that Rainbow pasta!! SO DARN CUTE! !